I just walked by the tank an noticed this inflated thing. It was not there 2 hours ago when I wiped the glass. 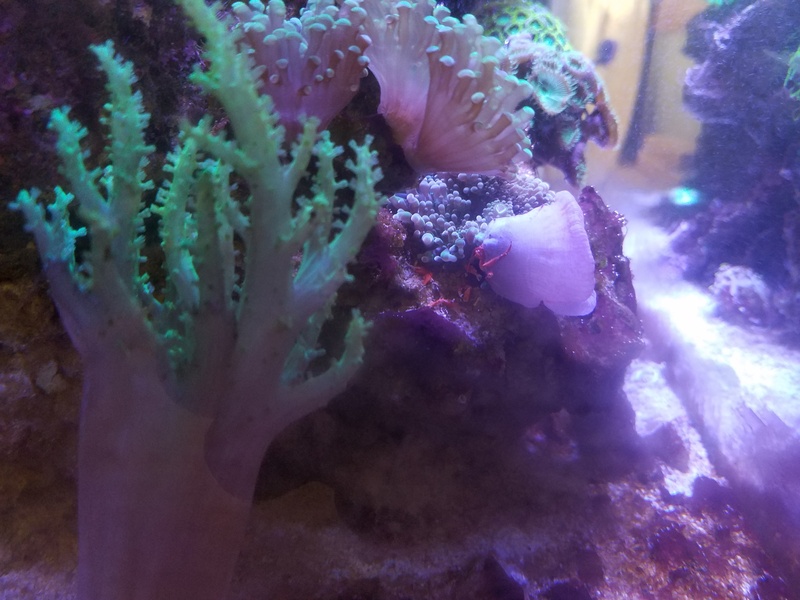 I can not find my rock flower that was on the opposite side of the tank when I cleaned the glass. Could this be him? Is he dying? [language filter] is he doing? Thanks. Should I point a powerhead at him and see if he can get away from the crab? I was afraid those were crab legs. 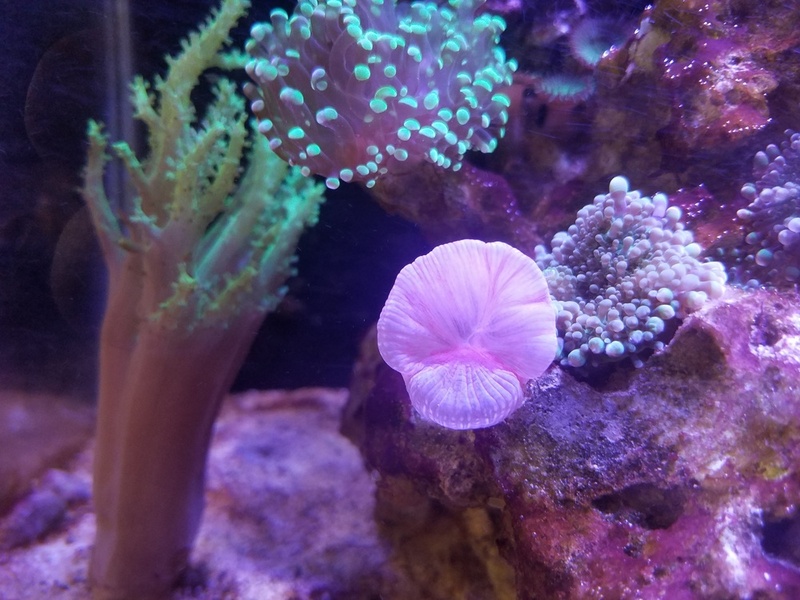 I would just use your hands to pull it off and place it where you want it to be (no guarantee it will stay there by any means) but when placing an anemone I try to turn off my flow for a while they tend to grab on to a good surface fairly quickly! Good news. It was the rock flower. I think he was trying to cross that mushroom and was reacting to the sting of that guy. I am just guessing, but he has attached to the rock and is moving away form the mushroom now. Hopefully lesson learned. If no one knows then give me a name suggestion. Hulks? Cactus?